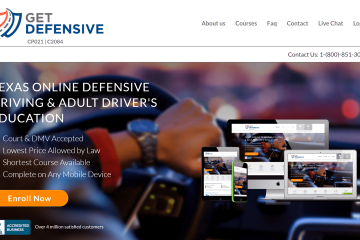 If you have never taken defensive driving before, selecting a course can be a daunting task. One of the reasons this site exists is to make things easier for the uninitiated, and we hope this guide will be a help as you start your search. First Things First—Why are You Doing this Again? People take defensive driving for a lot of different reasons. While it is but a tiny fraction of the population, some take it just because they want to educate themselves on how to become better drivers. Others take it in hopes of earning a discount on their auto insurance premiums. By and large, most take it because they happened to pass Officer Friendly that morning they were running late for work. 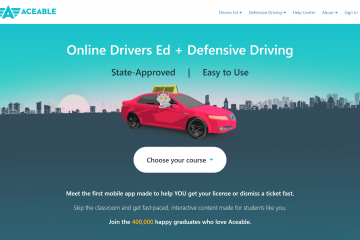 The reason that you are taking defensive driving is one of the first considerations that will help inform your decision as to which course you should choose. If you are a purist, only taking the course for your own edification, you are pretty much free to follow your heart. Find the course that will take you to your educational happy place so that you can experience the highest level of personal growth possible. However, if you are trying to dismiss a traffic ticket or are looking to save a buck or two, you’ll need to choose a little more carefully. To accomplish either of these objectives, state law requires the course you pick to be TEA and TDLR approved. Not much use in completing “Zen and the Art of Driving Safety” if you still have a ticket after you’re done. How Can There be So Many Choices? There’s also a greater than zero chance that every one of those search results made some sort of wild promise about how this particular course was the ultimate in one way or another. You know, things like “We’re the fastest” or “cheapest” or “easiest” or “bestest.” Whatever. Here’s where knowing a little truth about defensive driving is going to help you decide. 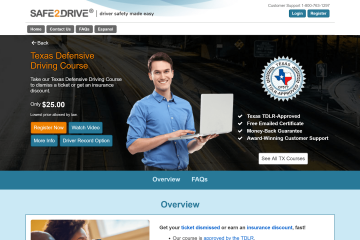 Texas law has some very strict rules that must be followed before a defensive driving course can be granted approval. Two of the biggest concern how long the course should take and how much it should cost. 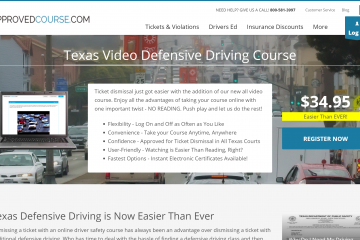 By law, a Texas defensive driving course must take a minimum of 6 hours to complete and should cost a minimum of $25.00. That means that a promise of “fastest” or “cheapest” is equal to someone’s promise to sell you the world’s longest yardstick. Defensive driving companies know that the general public assumes that driving courses are probably dull and boring affairs. To try to win these people over, many companies make claims of being funny, often putting the word “comedy” or “humor” into the name of their courses. Problem is, funny to me ain’t always funny to someone else. For example, if I said “family comedy,” what family pops into your head? The Brady Bunch? The Simpsons? Modern Family? All defensive driving courses must cover a very specific set of topics in order to gain TEA and TDLR approval. Here is a snapshot of a small part of the regulatory document that is the starting point for all defensive driving courses. And it goes on like this for SIX MORE PAGES!!! What a repository for mining comedy gold! I have worked through (and written) many courses over the years and have seen many heroic efforts to turn this pile of sh coal into diamonds. The tries range from corny to absurd to downright disturbing. Feel free to glance through my reviews to help but, honestly, I don’t know what you think is funny. Have you ever recommended a movie that made you laugh your head off, only to have your friend return to you frustrated that they had wasted $20 bucks and 3 hours of their lives they would never get back? 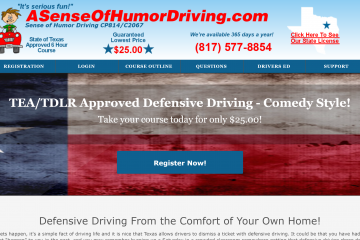 Recommending a “comedy” defensive driving course is kinda like that. 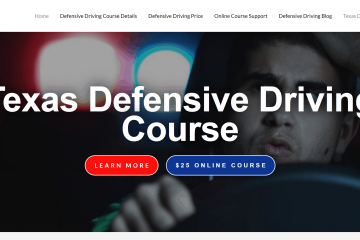 I mentioned earlier in this post that the state mandated minimum price for a defensive driving course is $25.00 and how a company’s “Lowest Price—GUARANTEED!” claim is more about compliance than customer satisfaction. 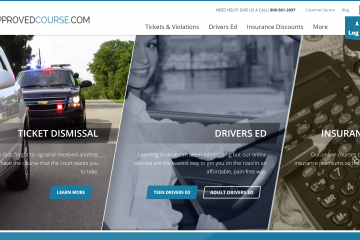 How can knowing the truth about the price of defensive driving help you here? 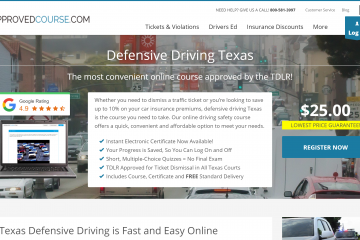 Knowing what you know now, would you ever pay more than $25.00 for defensive driving? Would you be surprised if I said there are some situations where you may actually want to pay more? Here are a couple of scenarios where you might. Some companies advertise courses at a price point higher than $25.00 while offering an additional feature or service that is “free with purchase.” Since you can now calculate exactly how much that “free” thing is going to cost you, now the ball is in your court to make a value judgement. If the bang-to-buck ratio is reasonable, why not choose that course? Other companies have a “standard” course they offer for $25.00 and an upgraded one (usually incorporating audio or video) at a higher price. Here again, it’s up to you to determine value. If you’re not keen on the idea of reading stuff you’re not particularly interested in for several hours, then paying a little extra for an upgrade might make sense. However, there is one time you NEVER want to pay more for defensive driving, and I hope I’ve caught you soon enough to tell you. Defensive driving companies LOVE customers like these. Why? Because expedited certificate delivery is VERY profitable. They know how much you need that certificate and are more than happy to take advantage of you in your time of need. If you’re on day 89 yourself, for the love…Quit reading and pick one already! If you have read this far, there is no doubt you are a conscientious consumer, and I can appreciate that. I’m the kind of guy who wants to get the best deal on everything I buy, too, but hey—you do know you’re going to actually have to take one of these courses, right? The more time you take for deciding is less time you’ll have for doing. Informed decision making is important, but we’re not talking about pulling the trigger on a car you’ll drive for the next five years or a house you’re going to live in for the rest of your life. My advice? Spin that big Googly wheel, pick one, get registered and get going. Even if you inadvertently pick a stinker, you’re out less than the cost of a trip to McDonald’s with the family and your ticket still goes away. And maybe next time you’ll set the alarm a little earlier. That way you can make it to work without speeding and avoid having to do this again. Good luck, and make the best of it.